Doug Walters cuddles a three-month-old in the NICU at University Hospital. Walters has been a volunteer baby cuddler for more than three years. Listen to Bonnie Petrie's story on the need for additional volunteers at a San Antonio hospital to cuddle babies caught up in Bexar County's opioid epidemic. So several hospitals are putting out the call for more cuddlers, including University Hospital in San Antonio. University Hospital has had a cuddling program in its neonatal intensive care unit for several years, and among the volunteer cuddlers is a man named Doug Walters. Walters may seem like an unlikely baby cuddler. He served in the Army for nearly 30 years, then he was a software engineer. Now he’s retired, and his mind is on sick newborns, like Jonathan. “Jonathan is supposed to be going to sleep, but we're having some challenges right now," Walters said as the infant gazed at his face intently through drowsy eyes. Babies born with NAS often spend some time in radiant baby warmers -- like this one at University Hospital in San Antonio -- to help regulate their body temperature while they experience symptoms of withdrawal. Walters has been a volunteer baby cuddler at University for more than three years, caring for newborns facing various health challenges. Jonathan’s mom was not addicted to opioids, but Walters said he specializes in cuddling little ones who come to the NICU with neonatal abstinence syndrome, or NAS. 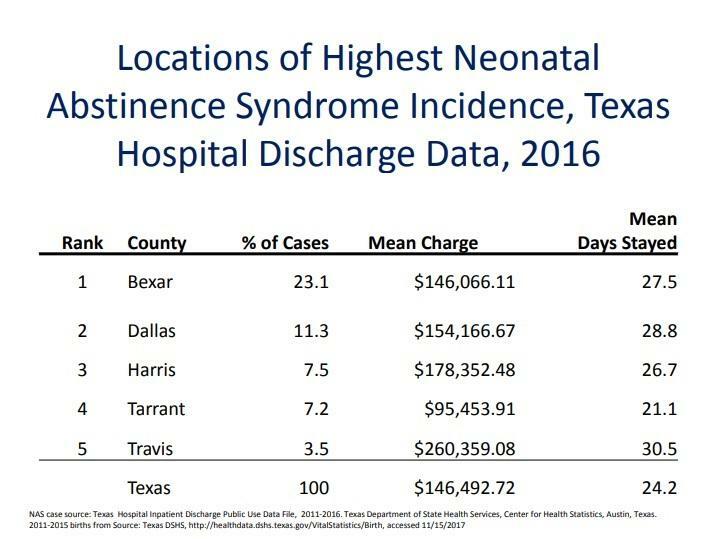 Babies with NAS have symptoms of withdrawal from the opioids that were in their mom's systems when they were pregnant, and Bexar County is home to the largest number of babies born with NAS in Texas. 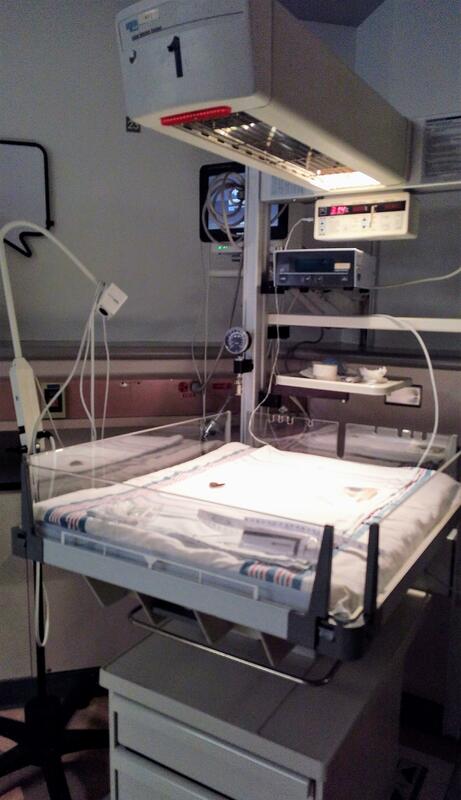 A third of babies with NAS born in the state are born here. Statewide, the number of babies born with NAS has increased by 60 percent over the last five years. Babies with NAS struggle with a variety of symptoms. They may have tight muscles leading to body stiffness, hyperactive reflexes, tremors and seizures. They may have trouble feeding and gastrointestinal problems, including diarrhea. They may have breathing problems. Almost all of them have a distinct, high-pitched cry, and Walters said he recognizes it right away. "You can tell when kids cry because they're mad, or they're hungry, and (babies with NAS) just...it's a very sad cry,” he said. “It's just sad, because they don't understand what's happening, and they don't understand why things hurt. They just don't understand," he added. Nurse Laurie Weaver has worked in the NICU for 27 years, and babies with NAS are her favorite patients. She said, "I just feel like they were given a rough start, and I just like holding them and comforting them." But with so many babies coming into the NICU with NAS -- there are three to four hundred born with the syndrome every year in Bexar County -- Weaver said the need for volunteers is greater than it has ever been because human touch is so important to these babies' recovery. Nurses like her can't cuddle them as much as they need. "We can have three and four babies assigned to us a day,” Weaver said. “They feed every three hours, and we don't always have time to hold them, so to have someone to sit there and hold them for you and talk to them...that is wonderful." Doctors treat NAS with small doses of opioids like morphine, methadone and buprenorphine, and they wean them off, not unlike the way doctors treat adults who are addicted to opioids. Medical staff assesses an infant’s condition during the weaning process, and they get numerical scores to reflect their improvement or lack of it. Dr. Meredith Flores is a pediatrician who takes care of babies in the NICU at the hospital, and she said babies with NAS who are held and cuddled do much better. "We see a big difference in their scores (in) the babies that either the mom, or a volunteer, or someone is here holding them all day,” Flores said. “Their scores are lower. Sometimes the dose of the medication they require is lower. They're able to wean faster off of that dose." Walters said he just loves being around the babies. He has six grandkids, and they're all too old for grandpa cuddles. But the babies in the NICU thrive on them. "So they're stuck with me as a grandpa,” Walters said as he rocked Jonathan slowly. The tiny boy squeaked softly in response. Walters smiled, then crooned, “Hey, we don't need a comment. We're ok."
Dr. Flores said University Hospital, and really any hospital with a NICU, needs more people like Walters around. "So we would love to have volunteers come and get the training that they need to come help us." Those interested in volunteering at University Hospital can get more information here or by calling 210-743-5730. The website highlights a dedicated cuddler program for people over 55, but volunteers of all ages are welcome. In San Antonio, you can also volunteer at Baptist Health System and Children's Hospital of San Antonio.